My last post elicited several provocative comments and instigated a number of compelling conversations over the last few days. As a result I have continued to sit with several of ideas presented in The Tree, by John Fowles. It is winter in the Northeast after all, a season that inclines us to the warm fire, big armchair contemplation of our place in nature. And as the face of nature moves into its most extreme expression for us in this part of the planet, we meet it with preparation, protection and respect. Fowles sets down what he believes is the most dangerous of all our contemporary forms of alienation—“our growing emotional and intellectual detachment from nature.” He suggests the remedy for this lies with recognizing the debit side of the scientific revolution, understanding especially the change it has effected in our modes of perceiving and experiencing the world as individuals. Lopez points to Fowles’ use of paradox to illuminate and explore. Paradox it seems is elemental to a discussion of these issues. The key to this paradox is the distinction Fowles makes between art and science. There is not the space here to elucidate, which is perhaps the coward’s way out on this, but some paradoxes are forever unresolvable and therefore, like koans, provoking and valuable. The best books about nature, like this one, drive you back out there, to the inchoate, the chaotic, the unresolvable. Incohate and chaotic, or classified? Real life is chaotic, but the classifications are useful. Which supermarket is the best, locally? You can make a decision based on argument and classification: price, how ethical their business practices are; or on feel. Other decisions, one or the other may be more self-evidently the best way to decide. They complement each other. 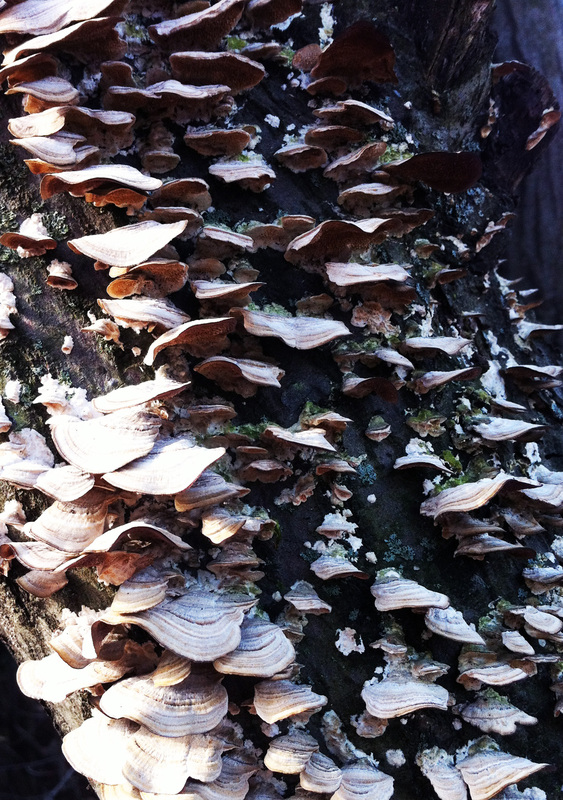 Unfortunately, those playful mushrooms indicate a tree that is sick; it is being eaten away by the fungus. This too is an interesting metaphor: beauty and life feeds on death and decay. My (barely) scientific understanding helps me to realize this essential truth. And I believe that research scientists consider themselves like artists; they call a theory that seems to work “beautiful”; it is an aesthetic judgment. I have a friend who is a naturalist and she knows more and understands more about the woodland world than I ever will, although I certainly appreciate it as much as she. I hate to harp on this, but her categorizing *is* personal and intimate and deeply connected. Altoon, I’m sorry about my neighbor’s tree but still find a moment to celebrate its visually compelling exit from this plane. Regarding our ongoing discussion of these issues, I included the reference to paradox that Lopez highlights in his intro specifically for you since that is my answer to holding the both/and on this topic. The way I see it, there is no such thing as one way, no one true view. I am compelled by both your position as well as its opposite. And holding both seems quite natural–no need to choose a side. It keeps coming back to the whole. To the rhizome if you will. Clare, thanks for your contribution. I think you are touching into the same zone with your comment. Deborah, I completely agree that there is no one true view, and that’s why I find the quotes from the book somewhat disturbing; they seem to have an either/or point of view rather than a both/and, even the Lopez quote (hasn’t he heard of Chaos theory?). The blanket animus towards science is something I don’t understand, even though there’s a lot that’s been discovered that we can very well do without. As for the tree, I agree about the visually gorgeous quality of the mushrooms; I love fungi, but I also know that they sometimes indicate a coming death. Altoon, I agree that a “blanket animus” towards science exists. That is not my point of view at all. But maybe it is because I live in the Brookline/Boston/Cambridge nexus that I feel the need to constantly dig out some wiggle room for the unexplainable in an otherwise highly linear, scientifically oriented cultural milieu. I need more friends like you to keep things more in balance. Thanks for your comments. I am always intrigued by what you see and what you know. We all seem to use what works for us …it’s as if the world becomes an extension of ourselves which in turn becomes as varied as we are. Ultimately though, it’s what is tangible (real) that inspires and starts the ‘perceiving’ ball rolling again. Lol, if that makes any sense. I’ll have to check out The Tree at some point. I’m currently at odds with Animate Earth though, so my trip into chaos isn’t sitting as well as it should be right now. Thanks Troy for sharing your point of view. The “world as an extension of ourselves which in turn becomes as varied as we are” makes sense to me. Reading through your blog this morning put your comment in an even richer context. Really an interesting site, I’ll definitely be stopping by again.